Following the success of our first season of the FIFA Masters Series (#FIFAMS), our 2014 season kicks off this weekend at epic.TWELVE. The FIFA 14 Winter Championship will be our 2014 launch qualifying offline event and the players finishing positions in the tournament will equate to the points they earn towards the FIFA Masters Series League Table. Learn all about the FIFA Masters Series (#FIFAMS). To get involved in the 2nd season, all you need to do is come along to epic.TWELVE and enter the FIFA 14 Winter Championship sponsored by GUNNAR Optiks and Mad Catz and you will be automatically entered in to the FIFA Masters Series! The FMS runs for the life of a FIFA game, i.e. upto September, and will provide an overarching series of competitions that all contribute points towards the #FIFAMS league table. This is the cornerstone to build a new and vibrant FIFA community that delivers added value through the bringing together of all FIFA tournaments into a series of joined events. 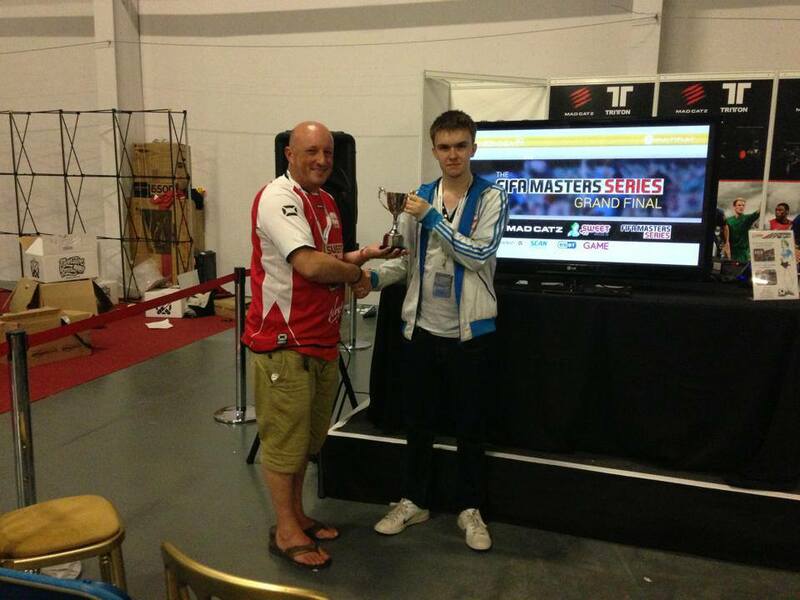 At the end of the season the FIFA Master Series Champion will be declared. The FIFA tournaments held at LANs will be the prestige events for the Series and these will be complemented also by qualifying online events at Sweetpatch TV. The top 8 players at the end of the season in the FIFA Masters Series League will play-off in a Grand Final Knockout Bracket with the winner being crowned the FIFA Masters Series Champion. The FIFA Masters Series has lots more to bring the FIFA scene and this is just the start. We look forward to seeing you all at epic.TWELVE and get involved with kicking off season 2 of something massive for the FIFA scene! For those that want to attend you’ve got two options, the £30 one day experience, which is valid for the tournaments on Saturday or Sunday, or for those that just can’t get enough, the £40 full access ticket, which allows you to attend all the Sweetpatch.TV action throughout the weekend, from Friday evening all the way through till late Sunday night. Purchase your tickets here and then sign up for the Tournaments you want to enter below. 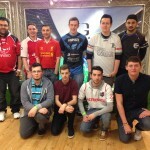 epic.TWELVE gives us the perfect opportunity to bring you a brand new next generation FIFA LAN experience on the Xbox 360. Come along and get involved and show what can be achieved by the FIFA community and help us prove that the experience can work so we can continue to develop the perfect FIFA experience moving forwards. It will also see the kick off of the new season of the FIFA Masters Series and the whole weekend will be streamed and cast live by the Back of the Net crew! 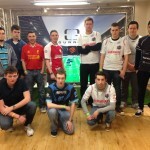 Friday is the day to warm up and have an evening of FIFA fun without any pressure to win. Come and try FIFA 14 if you have not played before, get tips from the Sweetpatch.TV community and join a 1v1 tournament just for fun with some awesome hardware prizes to be won courtesy of our partners at Mad Catz UK! Day 1’s FIFA 14 tournament will be based on Mini Groups and Single Elimination Best of 3 Bracket to ensure maximum FIFA play time and maximum FIFA fun is provided (will depend on numbers attending). Top 4 players will qualify for the Grand Final on the Sunday evening. FIFA Masters Series points will be up for grabs! On Saturday evening we will have our favourite 2v2 cup and entry into the tournament is completely FREE so you have nothing to risk and everything to gain! Starts at 6pm on the Saturday and runs until complete with some awesome hardware prizes to be won courtesy of our partners at Mad Catz UK! Day 2’s FIFA 14 tournament will be based on Mini Groups and Single Elimination Best of 3 Bracket to ensure maximum FIFA play time and maximum FIFA fun is provided (will depend on numbers attending). Top 4 players will qualify for the Grand Final on the Sunday evening. FIFA Masters Series points will be up for grabs! The top 4 players from Saturday’s and Sunday’s tournaments will go head-to-head on Sunday night for the title of epic.TWELVE FIFA 14 Winter Champion. FIFA Masters Series points will be up for grabs and some awesome hardware prizes to be won courtesy of our partners at Mad Catz UK! The team behind epic.LAN has over 10 years of experience delivering gaming events for both social and competitive gamers as well as a wide industry experience. The team are also avid gamers themselves and you will often see them on online servers as well as visiting LAN events worldwide to look at what works best for our home LANs. With a fresh start, we have a fantastic opportunity to try out some new ideas for the events, all of which are aimed at relaxing the atmosphere and increasing the enjoyment. Fun LAN gaming has returned…and it’s going to be epic! epic.TWELVE runs from Friday 14th to Monday 17th February @ Kettering Conference Centre. 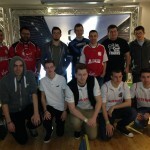 We hope to see you there for the Next Generation of Competitive FIFA!